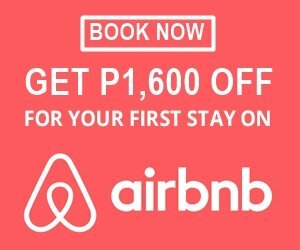 Looking for a budget hotel in Pasay, Manila? Check out the Kapsule Rooms of Kabayan Hotel Pasay. Don’t you just hate it when you’re on a budget and every hotel in Manila costs thousands a night? This is especially true when you’re traveling alone. Well, I’ve got the perfect hotel for you. Ever heard of the Kabayan Hotel Pasay Manila? It’s one of the cheap hotels in Manila that’s near the airport. Yup. That’s right. So in case your flight gets delayed for a day or canceled, you can book a room at Kabayan Hotel Pasay. Right in the middle of MRT and LRT in Pasay Manila, you will find Kabayan Hotel Pasay. It’s just 14 minutes away from NAIA Terminal 3. Pretty great, huh? Its location is what makes it one of the most booked hotels in Pasay. And its price is what makes it the best budget hotel in Pasay Manila. If you’re looking for a great place to stay in, check this place out. And if you’re a solo traveler looking for the cheapest room in Pasay Manila, book the Kapsule room in Kabayan Hotel. Coming back from Davao back in December, I had to find a quick place to stay in for the night before I go check in at Gramercy Residences Makati for a 2-days and 1-night staycation. I wanted to book a cheap room that’s near the airport when I remembered the Kapsule rooms offered by Kabayan Hotel Pasay. I quickly checked online and booked one Kapsule Room for 725 pesos. Hooray me! By the time I checked in, it was already 9 PM since I arrived at NAIA1 at around 8 PM. I quickly got my locker keys and proceeded to go to the room. Upon entering, the room was pretty quiet. I asked the front desk earlier if there were others besides me who booked a Kapsule Room and it turns out I had a few roommates. I forgot to ask how many, though. There were a few occupied Kapsules. Some were already sleeping. I had to be extra quiet so as not to wake someone up. I placed my heavy bag in the locker and proceeded to my Kapsule. Unfortunately, someone forgot to leave me my towel, blanket, and pillow so I had to call the front desk. In a few minutes, the staff brought it to the room. Inside the Kapsule, I didn’t feel like it was small enough to make someone feel claustrophobic. In fact, it was surprisingly spacious. It can fit 2 people inside and I can sit too. There’s also a light and an outlet in case you want to charge your gadgets. For privacy, there’s a wooden curtain that you can pull down so no one can see inside your room. It’s pretty cool. However, unlike other hotel rooms, I booked before, the Kapsule room didn’t feel homey. Probably because I was sleeping with strangers? I felt like I had to be constantly alert and on guard, in case somebody forcefully came in my Kapsule and take my stuff while I’m sleeping. None of that happened though. Thank God for lockers! All in all, my stay in the Kapsule Room of Kabayan Hotel was pretty great. I had a free breakfast, a hot and cold shower, a fluffy bed, and a roof above my head. It was more than enough for the price I paid for. Would I do it again? You bet I will especially when I’m traveling alone and on a budget. As I mentioned, I booked the Kapsule Room for P725. I used Traveloka. However, you can also use Booking.com. As for walk-ins, it’s priced at P1,050 per person per night which is more expensive than when you book online. So here’s a tip: Book online a few days or weeks earlier so you get the cheapest rate. Remember: Check-in is at 2:00 PM and check-out is at 12 NN. Here’s what you can expect from the Kapsule Room at Kabayan Hotel Pasay. Ride the LRT1 or MRT and go down at Metropoint Mall (EDSA station). Beside the mall, you will see Kabayan Hotel. If you’re coming from the airport, you can contact the hotel and arrange an airport transfer or simply ride the Airport Loop bus and drop off at Pasay then walk a few meters to Kabayan Hotel.